Celebrating American Craft Beer Week. Posted in Events., The (Beer) Road Less Traveled - Getting Into Better Beer. The Next Spot For Finding A Virginia Based Craft Beer On Tap In Roanoke? Oh, About 350 Yards. Posted in Brewpubs, Breweries & Craft Beer Stores., The (Beer) Road Less Traveled - Getting Into Better Beer. 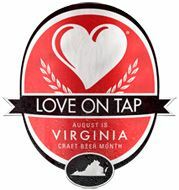 Weekend Tap Update, Roanoke. New Beers, New Blog Page. Weekend Tap Update – Big Beers, and Some Big Hops. Weekend Tap Update from The Beer Road.